Japanese shoe company Onitsuka Tiger will begin rolling out its new OK BASKETBALL MT and OK BASKETBALL LO shoes at branches across Japan from January 12. Onitsuka Tiger established in 1949 from its predecessor organisation ASICS. The following year the company released its mid-cut basketball shoes. The new OK BASKETBALL MT’s use those shoes as its base design while the LO’s are a low-cut arrangement of those. 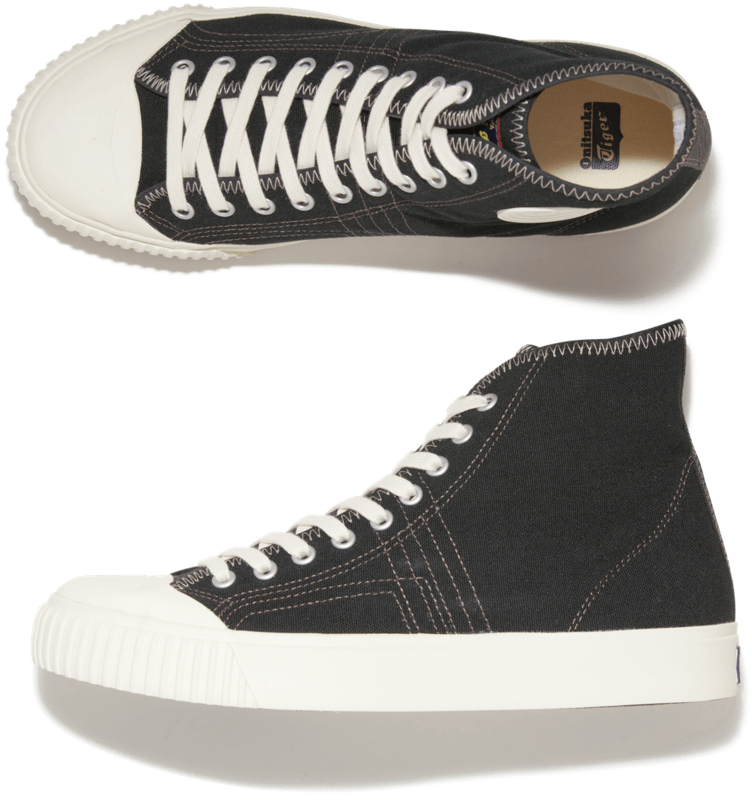 The form, material of the uppers, stitching, iconic metal eyelets, and rubber patches on the side of the uppers are close to the original design from 1950. The inside is also branded with Tiger’s official logo. The designs use the original model as their bases but have bee updated to fit a modern style and level of comfort. The inner soles are fitted with cushioned material for better comfort. Tiger’s OK BASKETBALL models have a classic look to them while also having modern wearability – you can feel their history by wearing them. Get your feet on a pair of Tiger’s ‘new’ shoes to call back their classic range. New store selling “NIPPON MADE” shoes from Onitsuka Tiger opening in Omotesando!